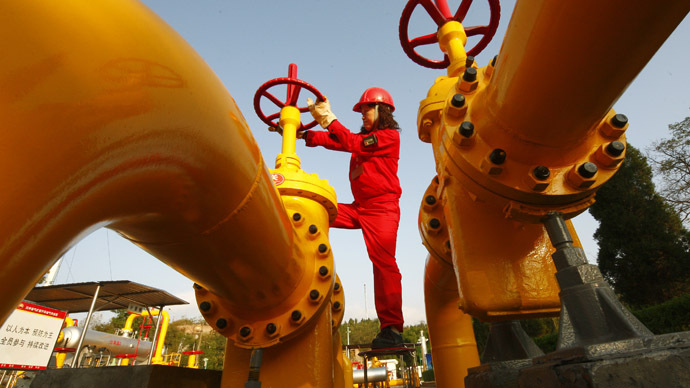 China might be poised for shale gas revolution in the next couple of years time, but it turns out that none of the 16 firms that gained exploration rights in the latest auction has drilled for shale gas before. The latest auction attracted 100 firms including a real estate developer, a grain trader and a tobacco dealer – all lured by gas subsidies and easy access to funds, but none of the companies have ever dealt with shale gas before. "They will have received very little data about the blocks, will have very little idea about what it is going to cost them to do exploration wells and no idea about development costs," Reuters quotes Tony Regan of Tri-Zen Consultancy, which advises gas companies doing business in China. "They are driven by the attraction of getting in early into what could be a huge market." It’s unclear though how these companies will help the country make a breakthrough in this field - a few years ago Beijing voiced an ambitious target of producing 6.5 billion cubic meters of gas by 2015. China's potential is impressive. The country’s shale reserves could be anything betwween 25 and 36 trillion cubic meters, while the US, the world’s leader in the field, has around 24.4 tcm. However, it’s difficult to make use of it right now. The American technology is hardly applicable in China due to geological peculiarities and the fact that the country’s shale deposits are mostly situated deeper underground. A report by law firm Norton Rose claims the cost to drill a single shale gas well in China ranges from $5mn to $12 mn - compared to the average cost per well of $2.7-$3.7 mn in the US. In other words, even if China gets all the necessary technology the project would hardly be profitable due to the high exploration cost. Last week, Royal Dutch Shell gave China a glimmer of hope though. The oil and gas major said it may help the country’s shale gas industry reach new heights. But until that time it looks like the country has to put its shale gas revolution on hold.